If you are 30 years of age or above, and want to study with like-minded students in a stylish and focused environment, our adult English school is designed especially for you. EC Dublin 30+ is for students who are more mature, and who have greater experience in life and in the professional world. You will study in modern learning classrooms designed to reflect Ireland’s unique culture. Through speaking, listening, reading and writing, you will learn English that’s important and interesting to you. You will also have access to an exciting social activity programme that features some of the best experiences Dublin has to offer. Meet students from all over the world, improve your English, and have experiences you will never forget. Located just a fifteen-minute walk from the bustling heart of Dublin, Binary Hub is a purpose-built accommodation that hosts students from many of Dublin’s colleges and universities, along with other English language schools. 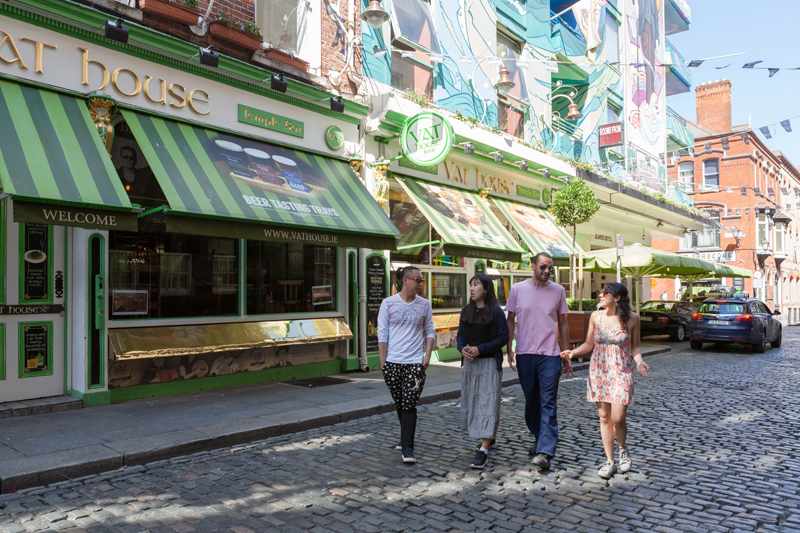 A Homestay is perfect for students who want to experience the local community and culture of Dublin. It’s also an excellent way to practise your English in a very natural way. You will be treated as a close friend of the family, couple or individual that you are staying with and will have your own freedom while being respectful to the family’s rules and expectations. There may also be up to three other students in the family but they will speak a different native language from yourself. Standard Homestay – This option offers great value for money for the budget-conscious student. Comfort Homestay – This is a mid-range accommodation, offering a higher level of comfort.